A few weeks ago I shared a Warm Farro & Kale Salad recipe. When making a grain like Farro, I like to batch cook (making a bunch at once) and use it across several recipes! 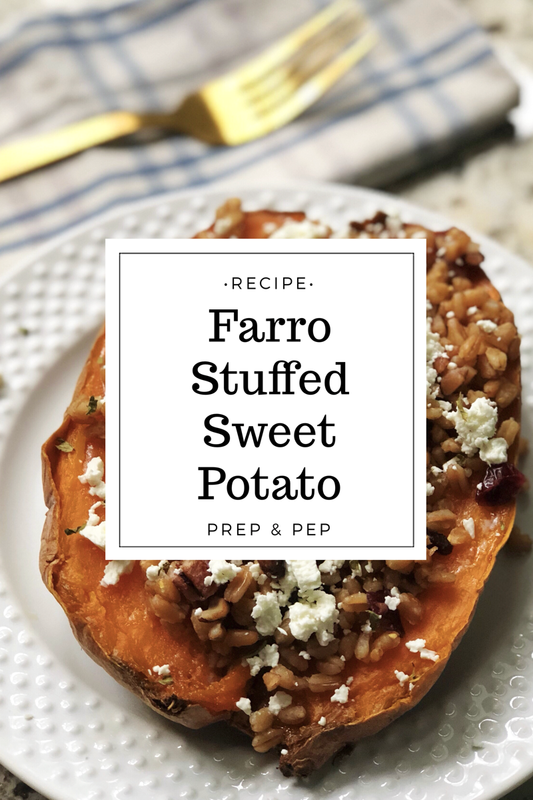 I LOVE farro and will make the salad, this recipe, and a fried "rice" recipe all in the same week to create three different meals using one simple ingredient. This recipe is great for Meatless Monday and can be made ahead of time and reheated for a quick lunch or dinner! 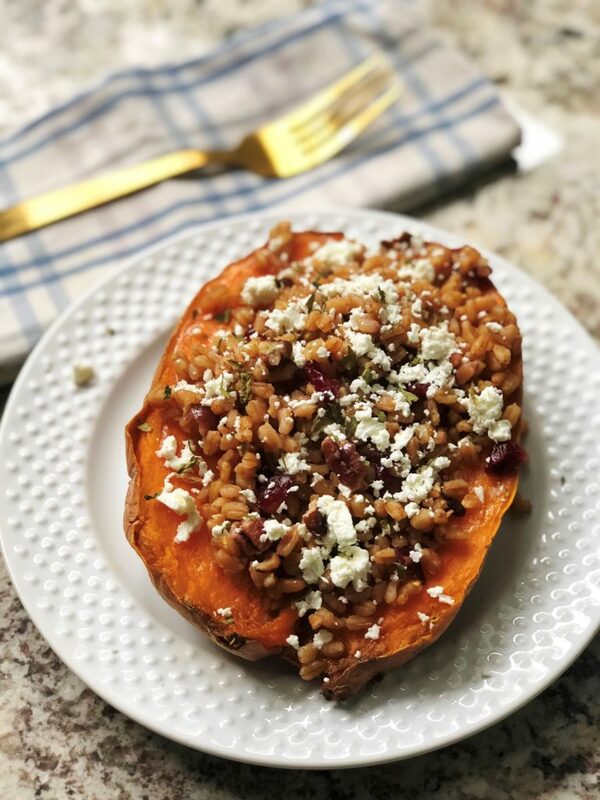 Simply bake the sweet potatoes and cook the farro ahead of time, reheat them, and top with the toppings and you've got a tasty, nutrition-packed meal in no time! Place each half of potato on a plate. Add 1/4 cup farro onto each potato. Top each potato with 1 tbsp cranberries, 1 tbsp goat cheese, and 1 tbsp pecans. Sprinkle parsley on top and enjoy!